Using a feed reader is helpful in compiling information which can then be available at a quick glance. 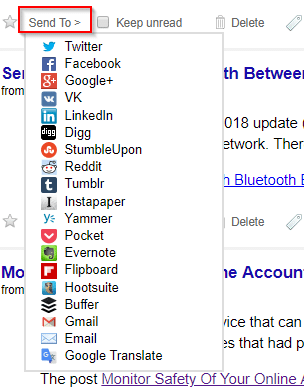 For a Chrome add-on, Feedbro would be a good choice as it makes managing RSS feeds quite simple. It can do many things like sharing these feed items on social networks, group them based on tags, support IFTTT and much more. Once installed, the Feedbro icon will show up next to omnibox. Click on Open Feed Reader to get started. 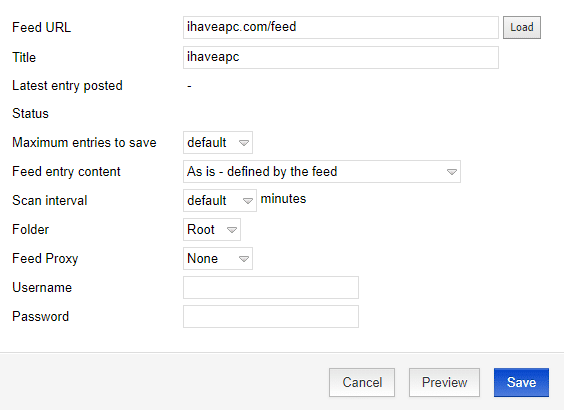 Over here, you can add new feeds, import existing feeds and also change various settings. 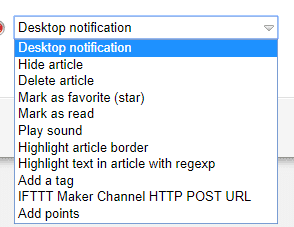 The Settings tab can change keyboard shortcuts, define article age (useful when only wanting the latest updates), change the feed reader view settings, disable auto scanning for feeds and so on. To add a new feed, click on Add a new feed. Then enter the feed URL and give it a name, click Save when done. A cool thing about Feedbro is that it also supports protected feeds. To use that, enter the username and password for the subscribed feed. After subscribing to feed, the articles and updates for that will be visible. You can also share the feed on various social networks by clicking Send To and even use a scheduling service like Buffer to do it. Also, to tag these feeds click on the tag icon next to Delete, choose Add Tag and enter a related hashtag. All these feed items will now be available from Tags section. This is great to group items based on category even if they belong to different feeds. 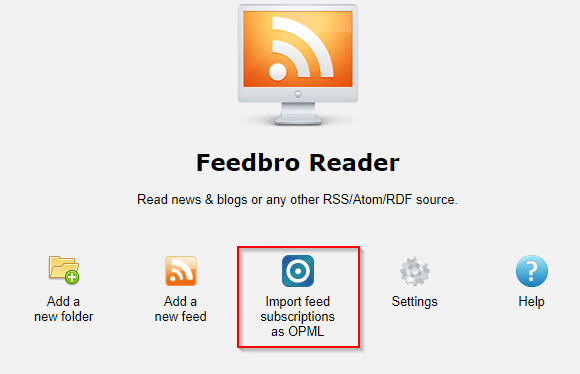 If you have an existing OPML file from which the feeds need to be imported, click on Import feed subscriptions as OPML. 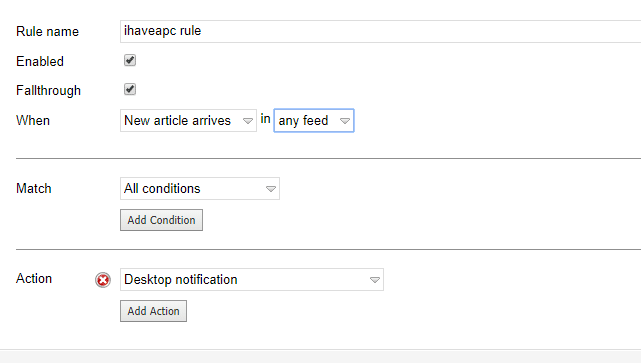 You can also set rules for different feeds. To do that, click on Rules. Then choose the feed for which rules are to configured. 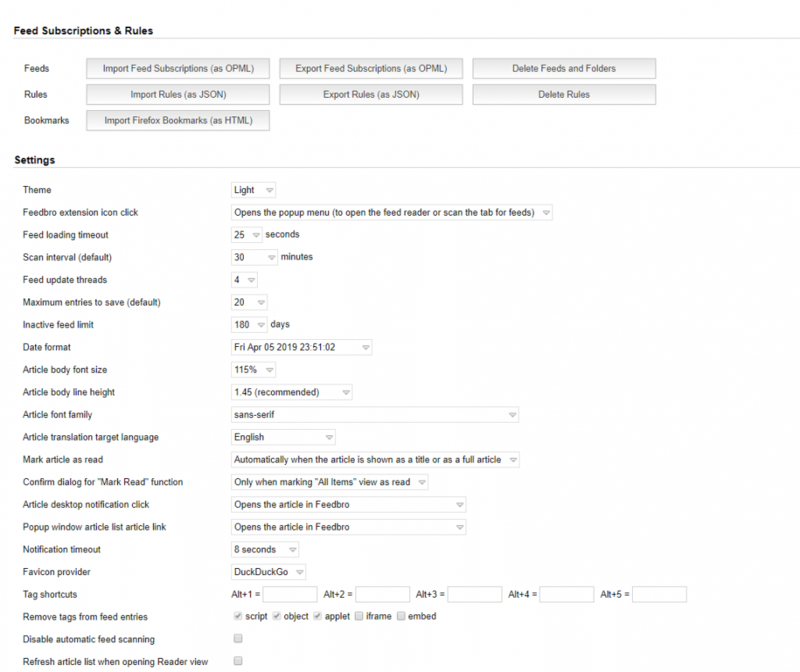 Choose the feed for which rules are to set from When fields and the corresponding actions from Action. These can include starring a new feed item as soon as it arrives, enabling a desktop alert, tagging it, hiding or deleting it and so on. You can also search for new feeds. Click the + icon and enter some search terms. Feedbro will display relevant websites with feeds which you can then subscribe to. Pretty cool. Also, if you would like to manage and view various details of feeds, choose Feed Statistics. From here you can delete the feeds too if needed. This is a useful add-on that makes subscribing and managing feeds a lot easier.